From fancy safari tents to futuristic pods, there are various levels of glamping these days. 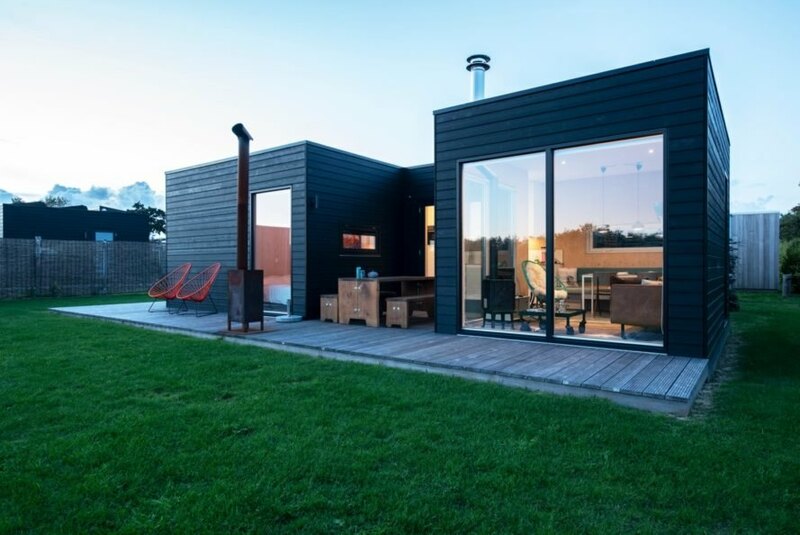 But for those looking to get back to basics without sacrificing style, the De Grote Beer cabin located on a remote island in the Netherlands is right up your alley. 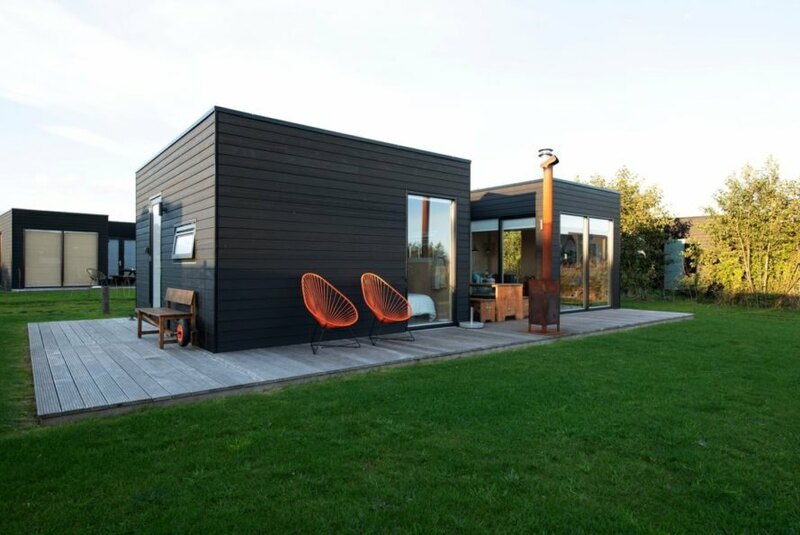 Designed by Depot Rotterdam, the minimalist cabin is clad in black-washed wood with large glazed facades that allow guests to immerse themselves in the stunning nature that surrounds the site. 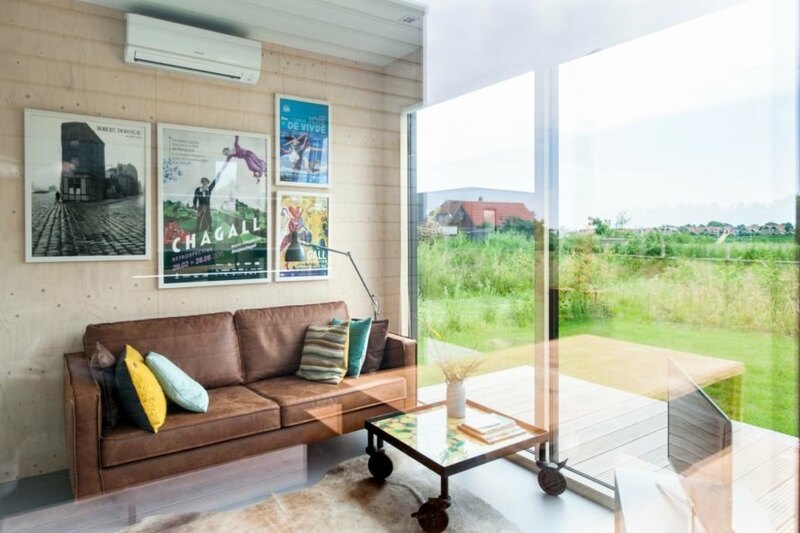 Located on the breathtaking Terschelling Island, the two-bedroom, one-bath cabin is a serene retreat that lets people disconnect while reconnecting with nature. The interior has a fully-functioning kitchen space and a welcoming dining and living area that opens up to an outdoor deck via large sliding glass doors. 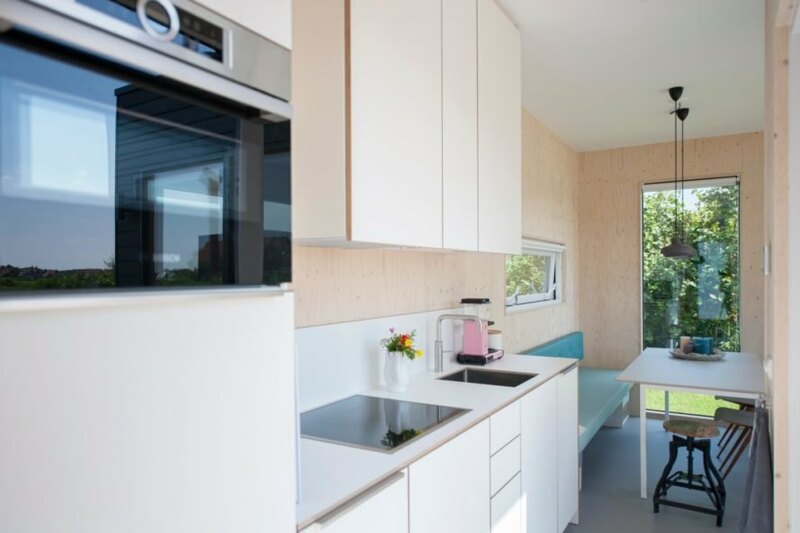 The interior design features a modern, minimalist color and materials palette, and the entire cabin runs on green electricity. 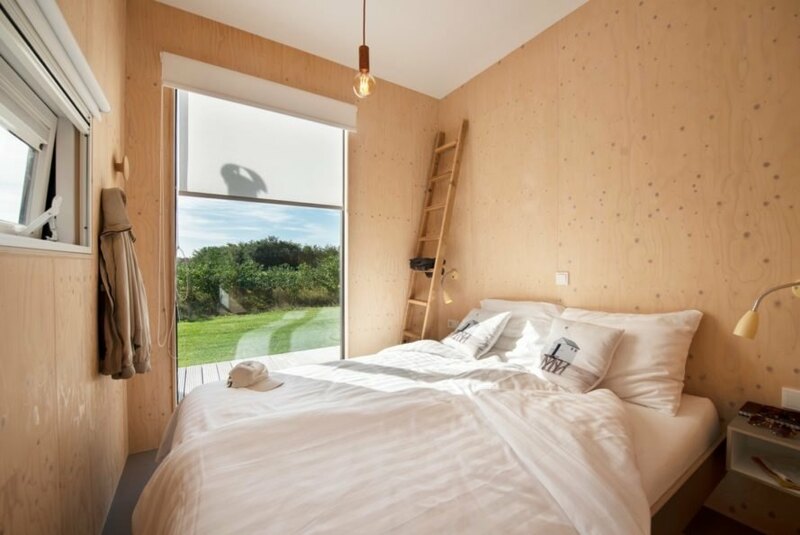 The two bedrooms are designed with simple wood walls, white ceilings and large windows that not only provide natural light but also stunning views. There is a master bedroom with a double bed and a second bedroom with bunk beds. The second bedroom also has a fabulous dome that allows guests to enjoy a bit of stargazing as they drift off to sleep. From the living space, guests can easily walk out onto the large, open-air deck. Wrapping around the front of the cabin with an exterior wood-burning fireplace, this deck is the heart of the retreat. A large sitting area with a table can be used for dining, playing games, reading or simply taking in the fresh air. 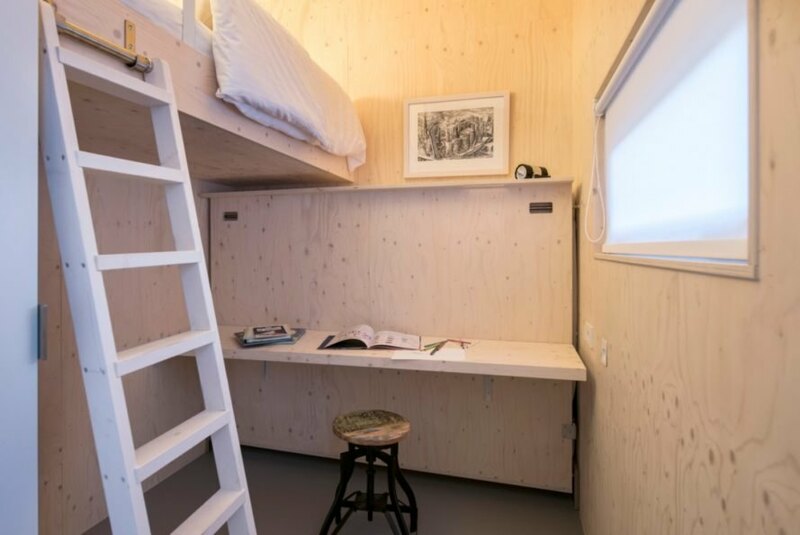 The De Grote Beer cabin, which can be rented through Boutique Homes, starts at €87 per night. Depot Rotterdam crafted De Grote Beer as a serene getaway. 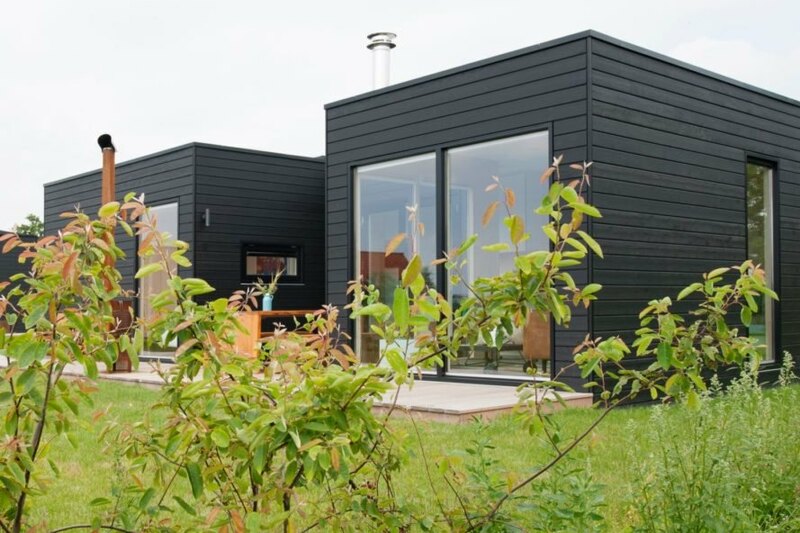 The cabin was built with jet black facades and large windows. Large sliding glass doors and windows bring in plenty of natural light. The interior is modern and minimalist. The master bedroom offers stunning views. A skylight lets guests enjoy star-gazing before drifting off to sleep. The cabin also has a set of bunk beds. The bunk beds can fold up into a desk. There is ample space for lounging in the living room. The fully-equipped kitchen allows guests to cook and dine from the comfort of the cabin. The bathroom is well-lit by natural light. Large sliding glass doors open to the deck. The outdoor seating area is perfect for enjoying the views. 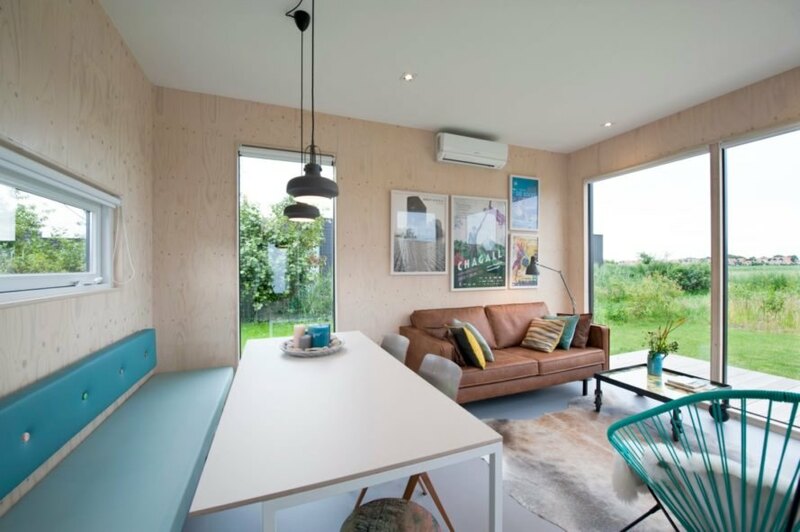 The cabin is located in a remote area of the Netherlands. Large windows connect the cabins with the surrounding nature. The large wooden deck has a wood-burning fireplace. The open-air deck is the main attraction. The cabin was designed to offer the best of glamping. The cabin is situated on a serene island, away from the hustle and bustle.